HomeNorway Chess 2018Norway Chess 2018 Round Seven: Anand Notches Up A Point. Vishy Anand defeats Maxime Vachier-Lagrave; four lead with two rounds to go! 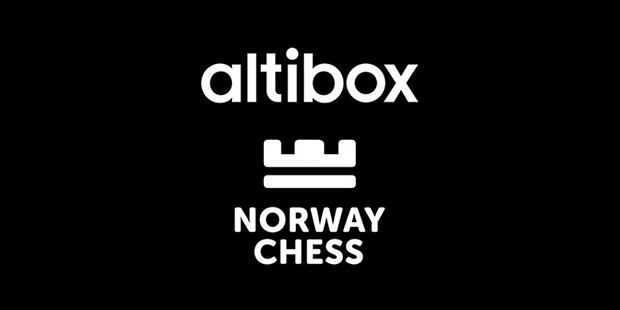 Norway Chess 2018 resumed after the final rest day, with round seven on Tuesday 5th June. The players had been taken for a bit of R&R by boat the previous day, so it was interesting to see who would be feeling fresh and who would still be a bit green around the gills. At the end of the round, Magnus Carlsen, (who had occupied the top of the standings on his own since early on), would be joined by another 3 players. As for Carlsen, himself, he had an extra day off and was trying his hand at some television presenting on Norway’s TV2. Along with very interesting commentary (very kindly translated for us on Twitter by Tarjei Svensen) Magnus also made a rather interesting statement about pre-arranged draws. More on that later. 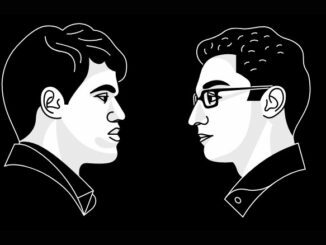 When it came to the chess, the one and only decisive game of the round was between Maxime Vachier-Lagrave and Viswanathan Anand. Unfortunately for the Frenchman, his Indian opponent got the best of things as Black in the Ruy Lopez. To me, Maxime didn’t seem to do very much wrong. It was more a case that Anand did a lot right — beginning with good development in the right places. This was couple with excellent vision over-the-board. This saw him go for 24…c5 (shown in the diagram, below), which led to an exchange sacrifice. From here, Maxime went for the obvious 25.Nd7, forking Queen and Rook. And who wouldn’t have gone for this? After 25…Qf7 26.Nxf8 Rxf8 things look about equal to the naked eye and it is up to Vishy to prove that he has enough for his investment. And this he did, though he was probably helped a little by his opponent, who seemed to consider himself better when perhaps he should have been playing for equality from here. 27.Qf5 was a little too much, though good technical chess, of course — when material up seek exchanges. The problem with these kinds of principles, though, is that there are usually a few asterix points. 27…cxd4 brought about complications that saw White giving the rook back under unfavourable circumstances. Anand was better and had the bit between his teeth. He had soon busted Vachier-Lagrave’s structure and once the remaining rooks were exchanged, White was toast. A very nice game from the former World Champion. This result would give him a share of the lead going into the final rounds. The other games were drawn, including the American derby of Caruana and Nakamura. Fabiano resorted to the English Opening again and I am no expert but was not a huge fan of his display with it. The game saw his pawn structure busted and his King dislodged. However, he did have the bishop pair and as Magnus Carlsen observed, one can accept weaknesses in return for that. The thing is, though, the bishop pair did not last long and then there were just the weaknesses. This was not something that was pursued, however. There was also another rather quick affair from Shakhriyar Mamedyarov, who was looking quite blase about the tournament now. His game against Wesley So in this round only went a few moves out of theory before they repeated. Magnus Carlsen, enjoying his time in the TV studio for this round, had a world or two about Mamedyarov’s draws, namely that he has had one or two in his time that have been pre-arranged. The World Champion pulled no punches and referred particularly to Mamedyarov and Karjakin having arranged draws in the past. About their draw in round three, Magnus said that he could not prove that it was arranged but that it was, “…a bit too perfect,”. Mamedyarov was asked about this afterwards and confirmed that he had pre-arranged draws in the past but denied that his draw with Karjakin in this tournament was in amongst them. This from Tarjei Svenson — by the way, if you haven’t got Tarjei on your follow list on social media, it’s something I would advise you to do now. As well as being one of the most on-the-ball chess reporters, he is also a thoroughly nice guy. This has started something of a debate on pre-arranged draws. I think it is something that has been long assumed and will come as no surprise to many. I have heard them discussed and was not at all shocked. I have mixed feelings on them and I’ll get more into it in a separate blog post over the coming days. The other draw of the day was the Ragozin Queen’s Gambit Declined of Karjakin-Aronian, which saw Black having no problems at all. It was a controlled game in which I don’t think either player really tried very much. All of this left a four-way tie at the top of the leader board with only two scheduled rounds remaining. 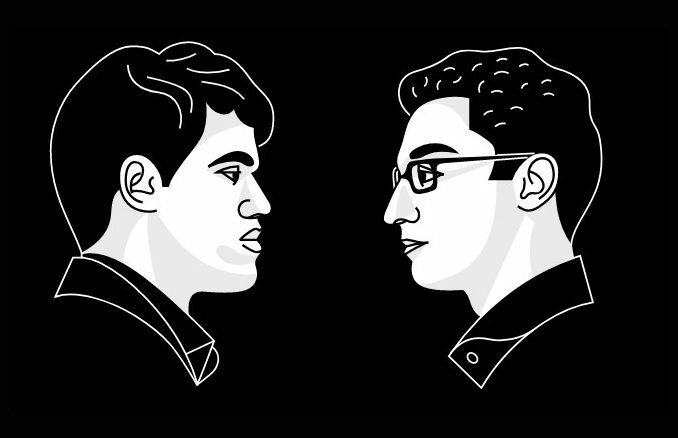 Mamedyarov ½ vs ½ So, Vachier-Lagrave 0 vs 1 Anand, Caruana ½ vs ½ Nakamura, Karjakin ½ vs ½ Aronian. Nakamura vs Karjakin, Anand vs Caruana, So vs Vachier-Lagrave, Carlsen vs Mamedyarov, (Aronian free).